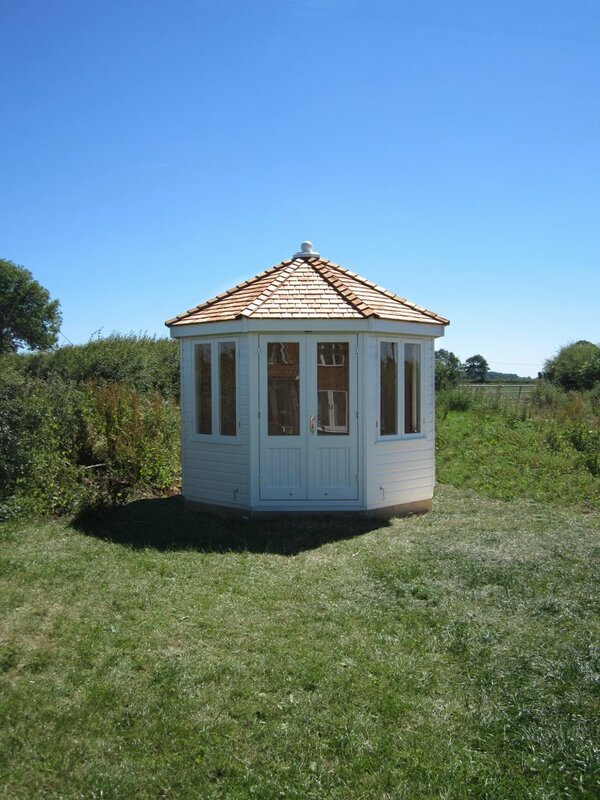 Measuring 3.0 x 3.0m, the summerhouse features a distinctive octagonal roof covered with attractive cedar shingles. 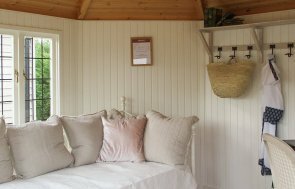 Eight opening windows will allow plenty of ventilation during the balmier months, and the inside of the summerhouse comes as standard with lining and insulation. The exterior of the Wiveton is clad with smooth shiplap and painted in the Farrow and Ball shade of Pointing. 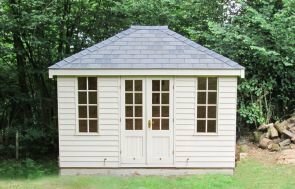 If you would like to browse our selection of high-quality summerhouses, we recommend that you pay us a visit at your nearest showsite where there will be up to 25 buildings on display and a team of friendly advisors on hand to help. We have centres based across the country, with one in East Sussex at the Goldcliff Garden Centre, Lewes. You can locate your nearest centre here. Alternatively, you might prefer to get in touch with us to speak to one of our experts about your dream building or simply browse online.